Yes, we did the pumpkin patch thing. The kids love it or so we (their parents) like to think they do. Honestly, my oldest son talks more about "the old red tractor at the pumpkin patch" more than anything else. If I could just get one of those things in my backyard, I would never have to go anywhere ever again. But that wouldn't be much fun, now would it? However, after reading this post a few months ago by a favorite blogger, it made me think twice about what events or "memories" meant the most to me. I couldn't agree more with her opinion, but after careful consideration, our annual pumpkin patch visit is not one I'm willing to give up...just yet. 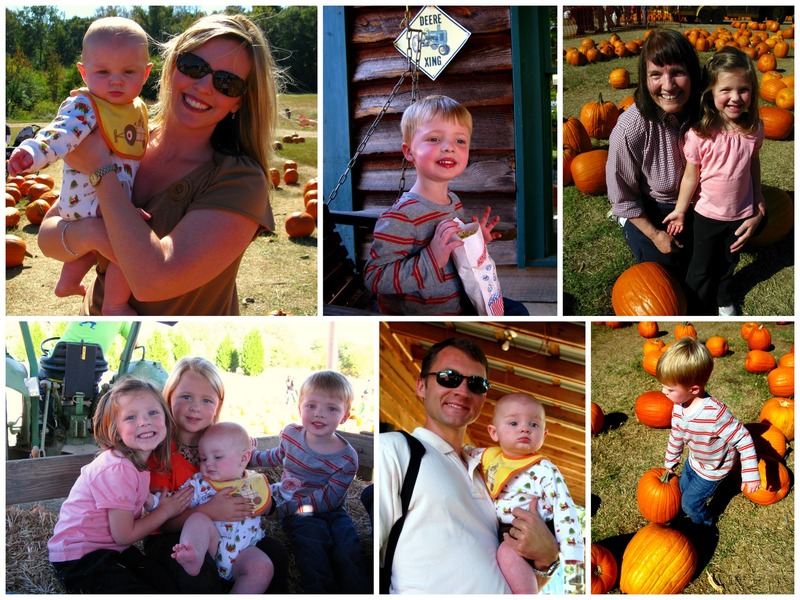 For me, our visit to the pumpkin patch symbolizes the culmination of fall with Thanksgiving being the grand finale. I actually really enjoy admiring all the unique characteristics of each pumpkin and watching my son pick what he thinks is "the perfect pumpkin." The pumpkin patch doesn't cause me stress because there's no start time that we're committed to make, there's not a huge financial investment made upfront, the kids can run around and play and if they start having a meltdown, we go home. It's just a pumpkin. If we luck out with a cute picture, great. If not, no big deal. Its just a pumpkin. Some years we get around to the carving and roasting part, some we don't. It's just a pumpkin. And quite frankly, how many more years do you think these sweet children are gonna indulge us in this simple pleasure? There are no fonder memories than those created in your own home. However, suburban living just isn't cut out for pumpkin farming. Maybe next year I can try my hand at planting some pumpkins here. I've heard pumpkins are actually very difficult to grow but how hard can it be? It's just a pumpkin. 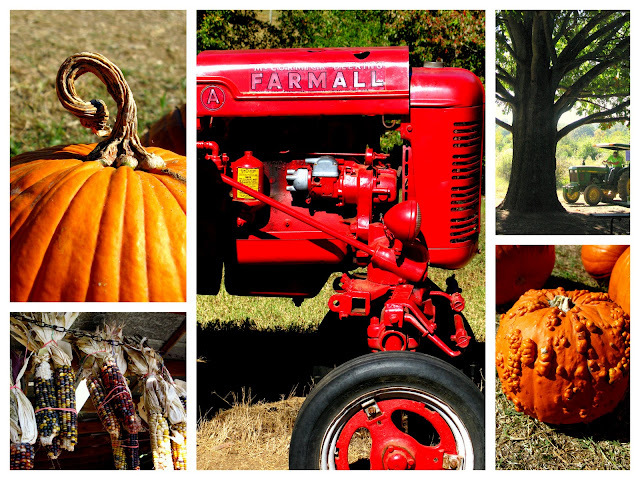 For now we'll be supporting local farms with our annual visits which is a "very good thing." What family traditions or events do you cherish most? I'd love to hear from my fellow peaches!